/ Cancel my Netflix Subscription in iTunes? Cancel my Netflix Subscription in iTunes? I’m trying to cancel my monthly subscription to Netflix but when I go to the site it says I have to cancel it within iTunes on my iPad or iPhone. How do I find my Netflix subscription account info on my iPhone?? 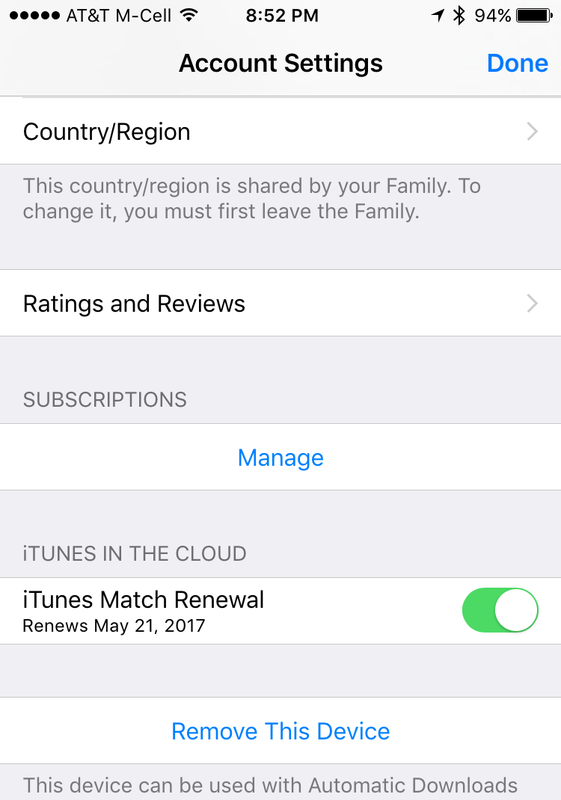 My daughter recently signed up for the 30 days free trial account for Netflix on her iPod (it’s amazing it works on an iPod, actually, but that’s another story entirely) and she also had to cancel her membership before it started billing her monthly, an amount she doesn’t have to spend in her account. Consequently, we had to figure all of this out too, and it was exactly the same situation where we logged in to her new Netflix account from a Web browser, went to settings, and it said “you need to cancel this from iTunes”. Turns out the process isn’t too difficult if you follow step by step. 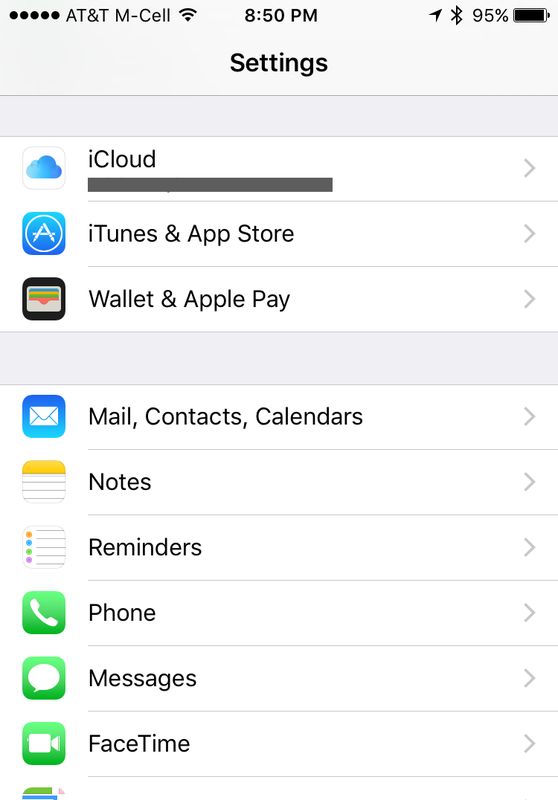 The idea is that you need to go into the Settings on your iPhone or iPad, it’s not something from within the iTunes or Music app itself. Let’s go through the process! You’ll need to swipe down to find the area needed, but find and tap on iTunes & App Store (you can see it near the top in the screen capture, above). In this case you want to tap on View Apple ID to proceed. 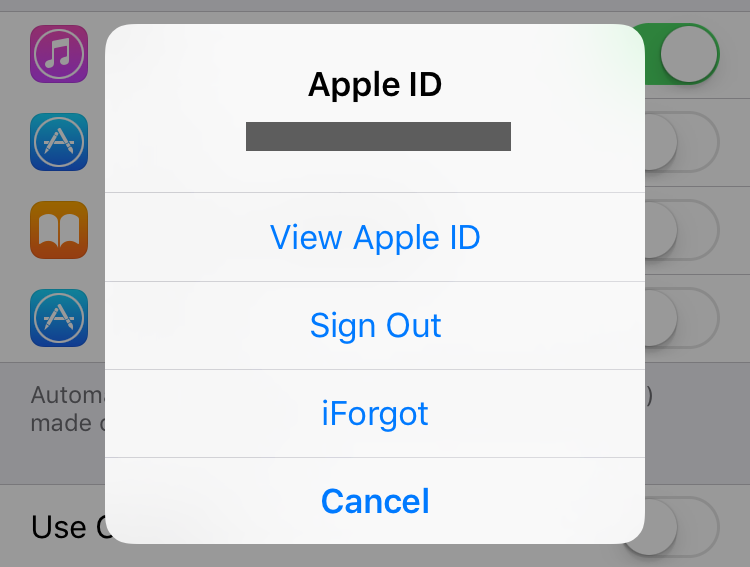 And you’ll need to log in again, because, well, you don’t want someone else picking up your iPhone or iPad and messing around with your account settings, do you? It’s a bit tricky to see (you’ll need to swipe down again to find it) but you want to tap on the word Manage, just below the section label “SUBSCRIPTIONS”. It’s approximately in the middle of the above screen. Notice that I haven’t chosen a renewal option so on Sept 11 the device will prompt me to choose 1 month, 6 months or 1 year renewal (with prices as shown) and shut down if I don’t choose any. Ah, as with mine there’s no renewal set up so her free trial of Netflix is going to end automatically on Sept 15. Good. If you had a paid subscription, you’d have an option on the bottom of the list to “CANCEL” and that’s all you’d need to tap to cancel your recurring Netflix subscription, or anything else you’ve signed up for with iTunes. Not too complicated once you know where to look. Hope this helps!